The Patriot Town Hall Building is located right on the banks of the Ohio River in scenic Southern Indiana. The building serves many purpose for the town and is an important land mark. The town council knew they had to act when it came to protecting the building with a good roof. 1) New shingles installed on the main building. 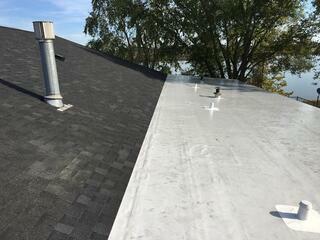 2) Line the box gutter and install new coping cap on the parapet wall. 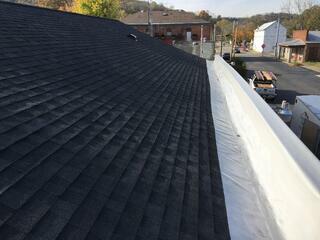 3) Install a new flat roofing membrane on the low slope part of the building. Exterior Pro was a great fit for the project as it specializes in box gutter repair and flat roofing in addition to the roof shingles. 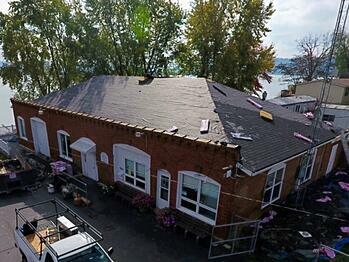 The first step was to remove the old shingles and clean up the debris. Next, the new felt paper and shingles were installed. 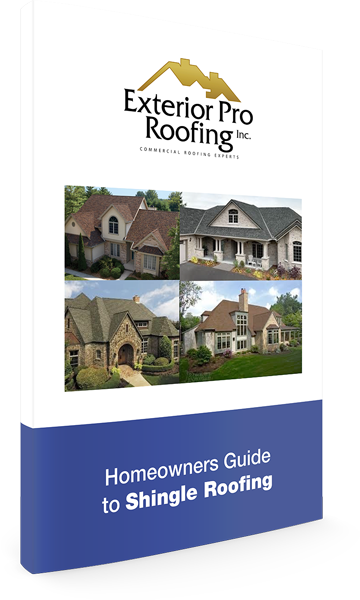 The box gutter repair and flat roofing work could now start without the chance that shingle debris would damage it. The box gutters were lined with a white, PVC membrane. The flat roofing was all done in a white PVC membrane. With the project almost complete and the building dried in all that was left was the metal coping. 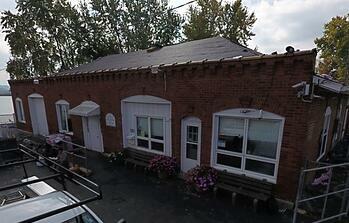 The town hall had a large parapet wall in front of the building which was covered with an old ceramic cap. The cap dated the building and was no longer water tight. The town council opted for a new red metal coping cap to keep the wall dry and to give the building a more modern facade. 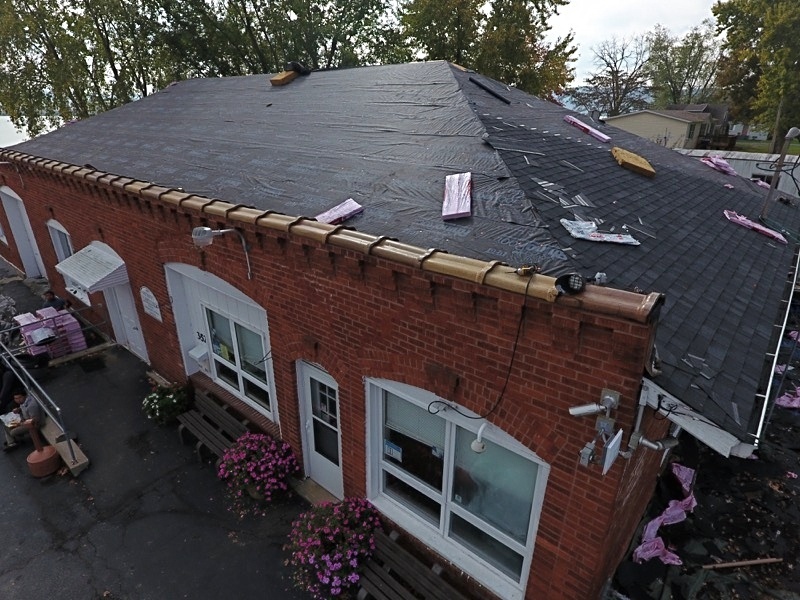 The roof repair project went well and the town hall will be dry for many years to come.